If you've ever seen Indiana Jones and the Last Crusade you know that there are some treasures worth pursuing to the ends of the earth and there is something so thrilling about when a Holy Grail of Clothing lands on your doorstep in a beautifully packaged Stitch Fix box. I was nervous because I had a new stylist - Catherine. My usual stylist wasn't styling with Stitch Fix anymore so I had a fresh set of hands working on picking out items for me. I was super impressed how Catherine described how she studied my previous fixes and comments as well as my Pinterest board before choosing my items. Also, I was excited to see a fall coat that I had requested! I love this color blue! This top was light and flowy without being overly billowy. I tried it on with a pair of dress pants in a tweed brown with brown heels and then went for a casual look with jeans and leopard print flats. The slightly puffed up shoulder really created a nice look. I thought the price on this top was a little high and I felt it was slightly short, but it was still a great piece. Please forgive the creasing and wrinkles in this photo, but there isn't much I could do about since I don't know how to work our iron. I'm not kidding. This sleeveless top was a pretty burgundy color that my camera struggled to capture accurately and I really liked the length. It looked alright with my long brown cardigan, but it was pretty clear the fit was a little off. The arms were far too loose and it sagged low in the front as well. I'm sorry. 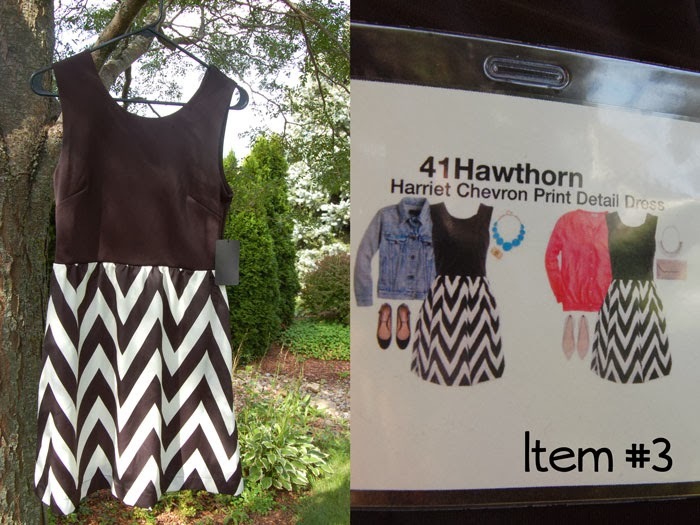 Is that a dress with an A-line chevron skirt?? I flipped out a little when I saw this in the box and practically RAN to the bedroom to try it on. I was saying a little prayer the whole time I was squeezing into my SPANX that this one would fit me. HAPPY DANCE!!! I took a cue from the styling card and tried this dress with a jean jacket and flip flops to make it more casual, but I think it worked best paired with black heels. And it has pockets. POCKETS. Sorry if your eyes are hurting from the glare coming off my pasty pale legs, but as the founding member of the "Embrace the Pale" movement, it's my responsibility to represent our paleness proudly. The specific thing I requested for this Fix was a "fall jacket" because I really don't have one that fits anymore and that denim jacket you see above doesn't really work very well for super-chilly nights or dressier outfits. I was really interested to see what I would be sent and this coat was definitely an unexpected choice. Yeah, this just didn't work at all. The coat was really cute on the hanger, but it was all wrong for my body type. First of all, it was much too small. I could barely button it over my chest and the collar just left me feeling awkward and confused. Not for me. I squealed out loud when I saw this top. The breath caught in my throat and my jaw dropped to the floor. Really, I didn't even have to try it on to know that it was PERFECT for me. 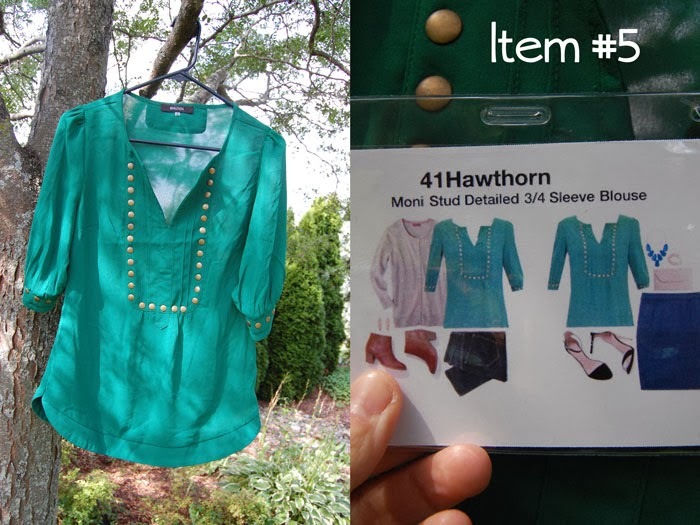 The deep emerald color and the cut of this top made it super flattering, but the icing on the cake was the stud detail. I felt comfortable in this blouse the moment I tried it on and I thought I was going to have to arm wrestle my mother-in-law to keep her from stealing it from me. 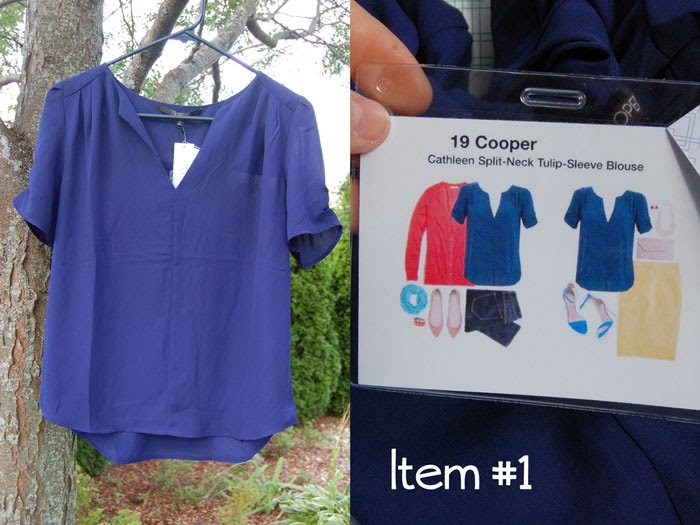 Before I reveal what I decided to keep, let me remind you of one of the fabulous features of Stitch Fix. If you keep all FIVE items in your box, you get a 25% discount right off the top of everything. Be very, very specific in your feedback about the pieces in your Fix. I had a brand new stylist this time, but she was able to use my feedback about how previous items had suited me to choose some really great options for me right out of the gate. As you can imagine, I just had to have the emerald green 41 Hawthorn top. I now affectionately refer to it is "The Holy Grail of Tops." I spilled my Pumpkin Spice Latte on it while riding in the back of a bumpy van last weekend and I nearly cried out of worry for my new favorite shirt. Don't worry. She was fine. 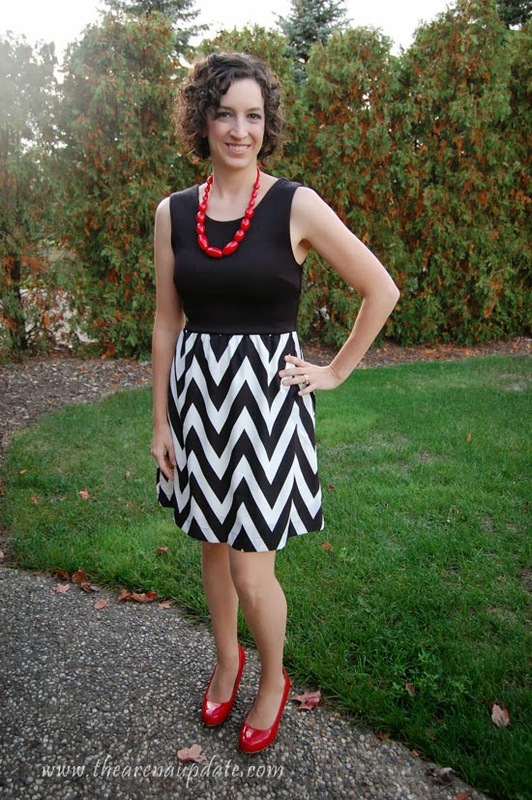 This chevron dress was a great choice to wear to my cousin's wedding last weekend! Sure, I already had a dress on hand that had come in a previous Stitch Fix box, but when I pictured this dress styled with red shoes....I couldn't resist. I found the shoes at Target and the necklace at Charming Charlie. I got so many compliments on this dress at the wedding and when people asked me where I got it, I loved being able to say, "My personal stylist chose it for me!" 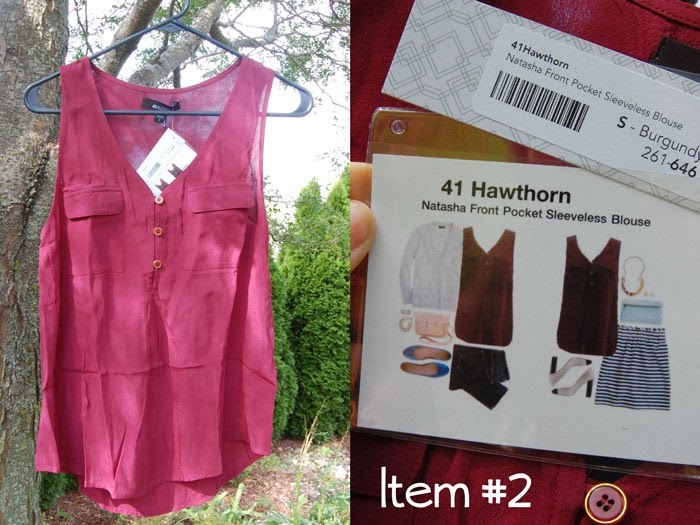 Have I mentioned lately how much I love Stitch Fix??!! 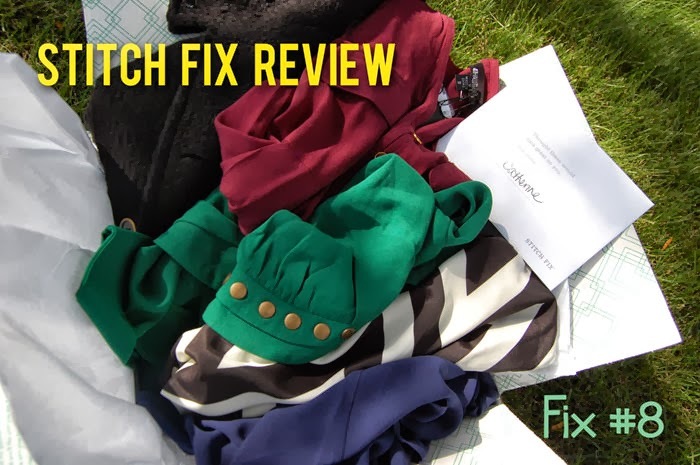 Ready to give Stitch Fix a try? I have really enjoyed using this styling service as a way to mix things up in the wardrobe department. It's so fun to see what my stylist has chosen! My favorite part is that it is NOT a subscription service where you are charged every month. You can get one Fix and be done or not get another one for several months if you choose. Or....you can choose to get a box of goodies every month. It's your call! CLICK HERE to get started! Disclosure: I was not paid by Stitch Fix to write this or any of my other reviews and all opinions are my own. 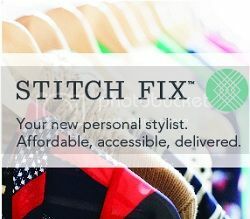 I do use a referral link so I get a credit to my Stitch Fix account when new folks get their Fix on! 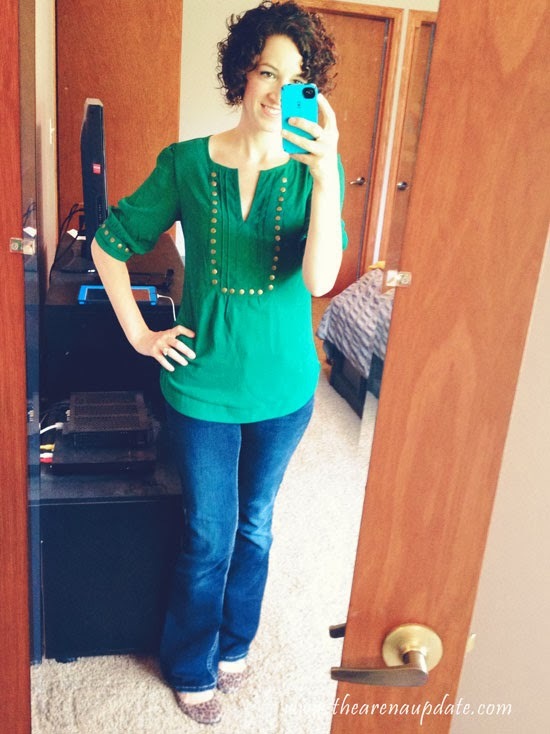 Thank you for supporting this blog (and for helping keep my clothing budget under control)! 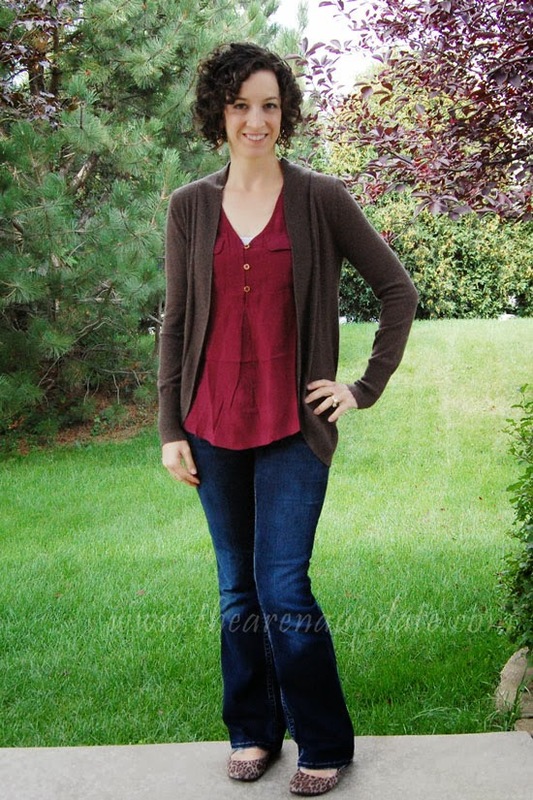 Linking up once again over at The Pleated Poppy for some amazing fashion inspiration!